The Jackmanii remains a favorite clematis since the mid-1800's. Violet purple flowers cover this vine from mid to late summer. Clematis prefer fertile, well drained soil in full to part sun. In warm zones of 7 and 8, afternoon shade would help with heat and humidity. A good layer of mulch will keep the soil cool and from drying out. 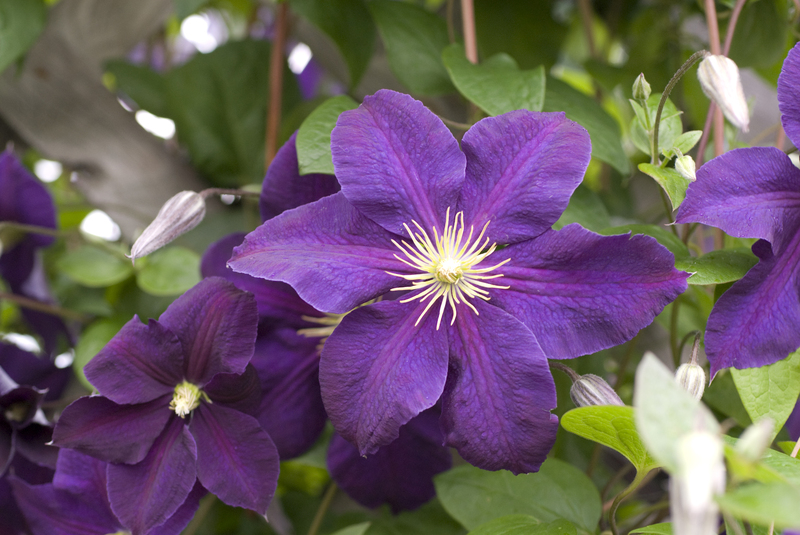 Your Jackmanii Clematis will grow best on a trellis, arbor or fence. Jackmanii Clematis is grown in a quart pot. Orders shipping to CA and AZ will be bare rooted before being prepped for shipping.